In THIS POST back in August 2007, I shared several of the mutual funds that I own. A quick glance will reveal the name "American Funds" six times in my mutual fund portfolio. Why do I own them? Because they had great track records and lower ongoing management fees than most of their peer mutual funds. However, American Funds mutual funds are front-end loaded mutual funds. A load means that there is a sales charge to purchase a share of the mutual fund. If one is just getting started out, there is a 5.25% sales charge. This means that if you have a $100 bill to invest, only $94.75 will make it to the mutual fund. Which is annoying. BUT, I still invested in American Funds' mutual funds because they simply had great track records. So, as I was reading CNN's Personal Finance web site, I was very interested to read an article titled "Are American Funds A Good Buy?" By the way, I don't sell mutual funds or ANY investment product. 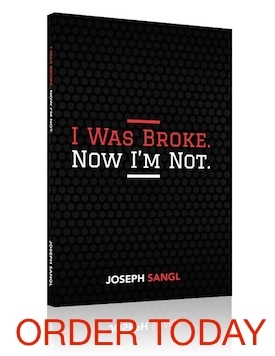 I DO sell copies of my book, I Was Broke. Now I'm Not. I truly believe that the information in this book will help you take control of your finances and achieve financial freedom. You can purchase a copy via PAYPAL or AMAZON. Do you still have all the ones you thought may be too many when you wrote the original posting? Has your I have list gotten shorter?